Roger Federer's 8-match winning streak on clay came to an end on Saturday in the Rome semifinals, as he was defeated by Novak Djokovic 62 76(4) in the pair's first meeting since the US Open last year. Right from the start, Djokovic looked like he had something to prove and Federer came out a little flat. Nole got two breaks in a lopsided first set which wasn't really competitive at all. The second set was more of the same and Djokovic got the break midway through the set, surely spelling out Federer's end in the match. But at 5-3, Roger saved a match point and broke back, changing the momentum on a dime. He led 6-5 but was unable to break and then Djokovic only needed one mini-break to take the tiebreak seven points to four. Roger lacked the same sharpness he had showed in his three previous matches, and it cost him. His first serve percentage was low for much of the match, and Djokovic was firing on all cylinders. I have no doubt that Nole was seeking a statement-making win that he hadn't really had since the Australian Open. As for Roger, he played some superb tennis to get to the semis and after people were skeptical about him needing red clay practice before Roland Garros, he definitely got some good matches under his belt heading to Paris. With the great form Roger has displayed all year, this loss is not a worrying sign. Not in the least. Before this loss, he had racked up a 25-1 record since the Australian Open (excluding Davis Cup), winning 4 titles, 2 of them Masters. f there is anything I have learned about tennis, it is that great form cannot be kept forever, and Roger's recent remarkable run was bound to hit a bump in the road at some point. And I believe it's better to lose to Djokovic than lose to Rafa in the final, or lose in an earlier round. Now, there is a 50/50 chance Roger keeps the #2 heading into Paris. So now we get to see a Nadal vs Djokovic final with heavy implications for Roger. Rafa did win their Monte Carlo final decisively, but Nole obviously had personal issues at that time which hindered his play. Now, he will be motivated, determined, and fiery - the same Djokovic we saw last year take out Nadal six times. I am not particularly looking forward to the contest because they are pretty predictable in terms of content - it is really just a war of attrition. A Djokovic win would be nice, though. I really only care about the result. 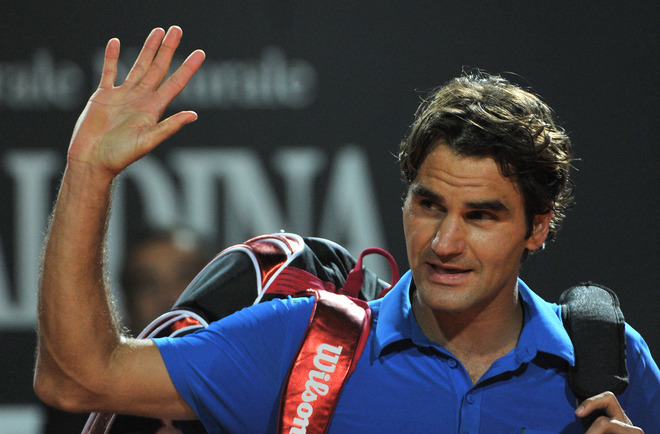 Looking ahead to the French Open for Roger (albeit, very early), things look really good. This loss to Djokovic does not mean much in the big picture. Roger won Madrid, and played very well in Rome and did everything he needed to do to prepare for the French Open. Taking off Monte Carlo may have been a wise move. We shall see in the coming weeks if that added rest will give him an edge. If someone told me in January that Fed would be 31-4 (31-3) with 4 titles and 2 Masters crowns, and would be playing sensational tennis that brought back memories of his glory days, I would have thought they were crazy. The bottom line is that Roger has put himself in a great position to have a great year and that is all we can ask from him. He has given us so much joy this year and I cannot wait to see what Roland Garros will bring. I will also bring up the numbers again, because they are just incredible. Since the US Open (excluding Davis Cup), Roger is 46-3 (48-4 with DC) with 7 titles and 3 Masters. He regained the #2 ranking and just may keep it for a while if Djokovic can defeat Rafa in the final. One of the best runs of his career at 30 years old. Not bad Mr Federer, not bad at all. We salute you. Upwards and onwards to Paris!